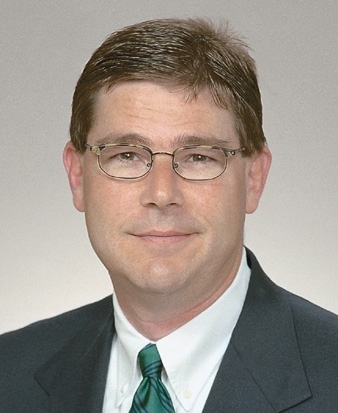 Steve Schulz is the Senior Director for the Global Talent Acquisition and Mobility organization at Rockwell-Collins. His responsibilities include all recruiting efforts across the globe, foreign national employee strategy, contract labor, relocation, mobility, short and long-term assignments, K-12 STEM efforts, and external diversity partnerships. Steve has been a leader in the talent acquisition efforts for more than two decades spending half his time in the external agency industry and the other half leading talent acquisition functions. Rockwell-Collins employs 30,000 people worldwide and is one of Iowa’s largest employers with 8,700 employees in Cedar Rapids plus another 1,200 employees in other Eastern Iowa locations including Iowa City. Founded in 1933, Rockwell-Collins is the industry leader in advanced avionics for commercial and military aircraft. This presentation will focus on Rockwell-Collins foreign national employment strategy and why it is a critical element for our company’s people strategy. Changes to the program including current global and political challenges confronting our organization will be discussed. 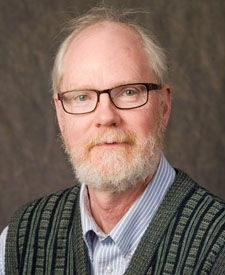 Gregory R. Carmichael is the Karl Kammermeyer Professor of Chemical and Biochemical Engineering at the University of Iowa and he is the Co-Director of the Center for Global and Regional Environmental Research. Greg also serves as the Associate Dean for Graduate Studies and Research for the College of Engineering. He has done extensive research related to air quality and its environmental impacts with over 280 journal publications, and he is a leader in the development and application of chemical transport models at scales ranging from local to global. The majority of his recent papers deal with the development and application of chemical transport models (CTM) to studies in regional atmospheric chemistry, air quality and climate. He is a member of the scientific steering committee for the UNEP ABC Asia project. He also serves as chair of the Scientific Advisory Group for the World Meteorological Organization Global Atmospheric Watch Urban Meteorology and Environment project, which is focused on building capacity worldwide to improve air quality forecasts and related services. Much has changed since the 2015 historic Paris Climate Accord. Even though the U.S. has expressed its plan to withdraw from the agreement, there remain many efforts at local, regional and global scales to address climate and environmental change. Post-Paris opportunities for addressing climate and the challenges to come with them will be discussed. Reminder: If you have not already done so, please remember to renew your ICFRC membership. M. Zubair Shafiq is an Assistant Professor in the Department of Computer Science at The University of Iowa. He is also a part of the Iowa Informatics Initiative. He received his Ph.D. in Computer Science from Michigan State University in 2014. He received his bachelor’s degree from National University of Sciences and Technology Pakistan in 2008. Cybertheft is a popular issue. I will offer my reflections on the continued need for concrete action to match the rhetoric of the norm against cybertheft. Informed observers have not yet detected a decline in the intrusions from China focused on U.S. business. Now is the time for the Administration to return to the sanctions process that was reported to be close to completion before the Xi visit several months ago. Adam Bobrow is the President, CEO and Founder of Resilience Strategies, a strategic consultancy based in Maryland. Foresight provides advice to clients on the impact of government policy decisions and strategic decisions, particularly cyber-enabled enhancements to their products and services. Adam was recognized for his cybersecurity expertise as a Senior Fellow at the George Washington University’s Center for Cyber and Homeland Security. Adam served the Obama Administration in a variety of positions over five years. Most recently, he was the international lead for the White House Office of Science and Technology Policy. Adam is an attorney, having received his JD from Washington University in St. Louis and is a member of the DC Bar. Adam’s undergraduate degree is in Chinese language from Georgetown University. Melissa Tully studies digital media technologies, international communication with a focus on media in developing countries, and philanthropy and nonprofit communication. Tully has conducted research in Kenya, Ghana, and Burundi. Generally, her research focuses on the use of digital media by a variety of actors in civil society. She holds a Ph.D. from the University of Wisconsin-Madison. Her presentation will focus on Uongozi, a massive multimodal civic education campaign in Kenya that culminated in the Uongozi reality television show. Tully’s analysis suggests that Uongozi framed and promoted a version of leadership that is tied to an idealized progressive, youth leader despite the lack of quality youth “candidates” on the show. The campaign also endorsed a message of national unity and identity, articulated through the promotion of a non-ethnic collective Kenyan identity. Uongozi contributed to a larger pre-election narrative promulgated through mass media efforts that encouraged Kenyans to move beyond ethnicity in their voting and participate in a peaceful election. Rainwater harvesting, a “soft path” approach towards water management, is increasingly recognized as a key strategy for combating food insecurity and water scarcity. This presentation uses the South India as a case study to explore the social, economic, and environmental dimensions of rainwater harvesting systems for smallholder agriculture. Our research team has evaluated the viability of centuries-old rainwater harvesting tanks under current climate and population pressures, culminating in a new approach for developing water sustainability indicators that better reflect interacting human and environmental processes. 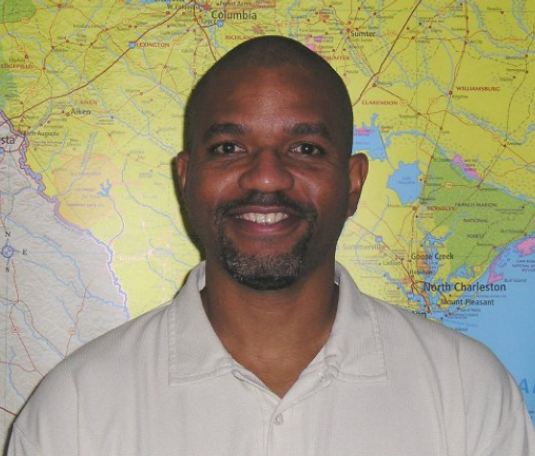 Eric Tate currently serves as an Assistant Professor at the University of Iowa’s Department of Geographical and Sustainability Sciences. He teaches and conducts research in the areas of flood hazards, water resources and social vulnerability, primarily focusing on the development of geospatial indicators to examine environment-society interactions. Dr. Tate earned a B.S. in Environmental Engineering at Rice University, an M.S. in Water Resources Engineering from the University of Texas, and a Ph.D. in Geography from the University of South Carolina. In the last few decades, semi-autonomous killer machines have migrated from science fiction to a central role in real-world international relations. The United States utilizes unmanned aerial systems, commonly known as “drones,” to strike targets both in and outside of military contexts. Though the US is at the forefront of unmanned technology, all advanced militaries use robots to perform a variety of tasks. From surveillance to ordinance disposal, drones are used in the air, water, and on land. With the US and other militaries’ increasing reliance on unmanned systems, the FAA endorsing commercial drones in 2015, and Google developing a self-driving car, the prevalence of robots is increasing exponentially. As Grossman points out, technology often develops faster than humans’ understanding of it. Nicholas Grossman is a lecturer in the political science department of the University of Iowa, where he teaches classes on terrorism and insurgency, national security policy, and 21st century technology and warfare. He received a PhD in International Relations from the University of Maryland with a dissertation titled “Robotics and the Future of Asymmetric Warfare.” Before coming to Iowa, he presented on preemptive warfare at the Pentagon’s Office of Net Assessment, and on terrorism to the Applied Physics Laboratory. As a technology enthusiast, Grossman finds developments in robotics to be both exciting and highly concerning. Gregory R. Carmichael, is the Karl Kammermeyer Professor of Chemical and Biochemical Engineering at the University of Iowa. He is internationally known for work on international air pollution concerns. Carmichael’s studies have led to greater understanding of problems related to the long range transport of pollutants within Asia and across the Pacific. Most recently his work has focused on the role of black carbon in the atmosphere and its dual role as an air pollutant and climate warming agent. Gregory Carmichael is a member of the scientific steering committee for the UNEP Atmospheric Brown Clouds Asia project, where he has published recent papers on the important role of black carbon in the climate system. He also serves as chair for the Scientific Advisory Group for the World Meteorological Organization Global Atmospheric Watch Urban Meteorology and Environment project (GURME-WMO), which is focused on building global capacity to improve air quality forecasts and related services. As energy hungry nations search for fossil-fuel alternatives, some look to lithium as a source for electricity. Bolivia’s salt desert, Salar de Uyuni, is 100 times the size of the famed Bonnevile Salt Flats of Utah and is estimated to hold as much as half of the world’s supply of lithium. This has led some to refer to lithium as the “New Oil,” and subsequently Bolivia, the “New Saudi Arabia.” However, many environmental groups believe lithium extraction is an unsustainable process that will produce irreparable damage to the environment and the Bolivian landscape. As Barbuzza’s years of research will show, this story of landscape and salt is layered in both history and power. Isabel Barbuzza is an Associate Professor and Director of Graduate Studies at the School of Art and Art History at the University of Iowa. 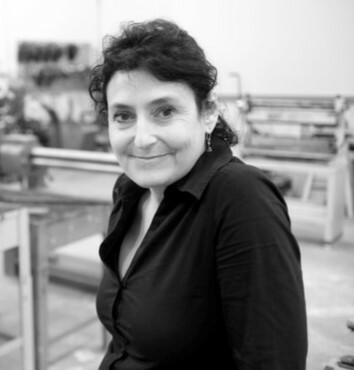 In addition, she directs the sculpture program in the Dimensional Practice Area. Barbuzza’s work has been exhibited internationally. Her works can be seen in private and public collections around the world. Barbuzza holds a BA and MFA from the University of California at Santa Barbara and her research involves narratives integrating social, geographical and ecological history across Latin America. The technology called Hydraulic Fracturing – often termed “Fracking” – refers to the high-pressure injection of water and other materials deep underground to break rock and release hydrocarbons. Fracking has led to a boom in the production of natural gas and oil, but has also raised a variety of concerns with respect to the environment, impacts on local communities, and contributions to climate change. In this talk Bob Libra will outline the dynamics of fracking, and the implications of increased practice both domestically and internationally. Robert Libra is the State Geologist of Iowa, and has worked with the Iowa Geological Survey for over 30 years, including 10 years in his current position. His work has involved a wide range of geologic and water-related research, with a focus on groundwater resources. He is a Minnesota native with degrees in Geology from the University of Wisconsin-Superior and Indiana University. Lyombe Eko is associate professor and Director of Graduate Studies at the University of Iowa School of Journalism and Mass Communication. He is also co-Director of the African Studies Program. He teaches courses in media law and ethics, comparative and international communication. He has published two books: Case Studies in Comparative Communication Law and Policy (2012); and American Exceptionalism, The French Exception and Digital Media Law (2013). He has also published numerous articles in law review and refereed international communication journals. In an ever-globalizing world, maintaining a small, local business is increasingly difficult. Companies need to expand and use their global connections while remaining grounded within their communities. Chuck Peters, CEO and President of the Gazette Company, will discuss the variety of international initiatives the Gazette Company currently has underway. Chuck is the President and Chief Executive Officer of The Gazette Company, a company owned by a trust for the benefit of the employees (ESOP), and doing business as Iowa SourceMedia Group, consisting of The Gazette newspaper, KCRG – TV9, an ABC affiliate, Hoopla, and numerous online sites; Fusionfarm, a digital services agency and ColorWeb Printers. He is on the board of directors of the Newspaper Association of America. A lawyer by training, Chuck graduated from the University of Iowa College of Law. He spent a decade in the appliance business, five years as President of Amana Refrigeration and until 1998 as Vice President – Administration of Maytag. Between appliance assignments, he was the CEO of Breakthrough, an Iowa City start-up software and consulting company engaged in developing effective early literacy programs for school systems. In early 2010, WikiLeaks, a non-profit whistleblower organization, began releasing classified U.S. diplomatic cables. By the end of 2011, over 250,000 cables had been leaked, constituting the largest security breach in U.S. State Department history. The cables were widely disseminated and provoked significant criticism of U.S. foreign policy. Ambassador Ron McMullen will discuss the circumstances leading up to these events and their subsequent impact on U.S. diplomacy. 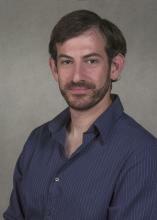 McMullen, currently a Visiting Associate Professor at the University of Iowa, served as U.S. Ambassador to the State of Eritrea. Ron has over 30 years of diplomatic experience and has lived, worked, or traveled in 91 countries. In Burma he worked closely with Nobel Peace laureate Aung San Suu Kyi and pro-democracy groups. While posted in Fiji he helped prevent civil conflict after an armed takeover of parliament. He was shot at during a riot in Sri Lanka and helped train mongooses to detect heroin. He survived a voodoo curse in the Dominican Republic and took Hillary Clinton on a tour of South Africa’s Robben Island with Nelson Mandela. Between foreign assignments, Ron served for three years as Visiting Professor at the Military Academy at West Point, where he taught International Relations and Comparative Politics. He was Diplomat-In-Residence at the University of Texas at Austin 2010-2012. He has authored many scholarly works and is a three-time recipient of the State Department’s Superior Honor Award. A native of Northwood, Iowa, he earned his doctorate in political science from the University of Iowa. Santos® is a computer program developed over the past 10 years by a large team of researchers at the Virtual Soldier Research Center at the University of Iowa. It is a human simulator that aids in the reduction of load for the US Marines, tests new equipment, and helps design new vehicles for the manufacturing industry. Santos operates inside a computer and can check for all types of scenarios before the equipment or vehicle is built, thus reducing cost and time. Dr. Karim Abdel-Malek is internationally recognized in the areas of robotics and human simulation. He is a Professor of Biomedical Engineering at the University of Iowa. He is also the Director of the Center for Computer Aided Design, a world renowned research center consisting of 6 units. Dr. Malek leads projects with all branches of the US Military (US Army, US Navy, US Air Force, and the US Marines), and several industry partners including Ford, GM, Chrysler, Rockwell Collins, Caterpillar, and others. He received his M.S. and Ph.D. degrees in robotics from the University of Pennsylvania and a B.S. in mechanical engineering from the University of Jordan. Dr. Abdel-Malek serves on several national and international conference committees and also serves as the editor-in-chief of the International Journal of Human Modeling and Simulation. Gregory S. Churchill is the Executive Vice President of Rockwell Collins International and Service Solutions, an organization that combines all of Rockwell Collins’ International and Service operations into one entity. He will be sharing a high level overview of some basic, but very real, truths about doing business in the international marketplace based on experiences that he has developed over many years of serving a broad range of customers. Churchill is responsible for approximately $2B in orders capture, $900M in sales and 3,000 people in approximately 30 countries. Before being appointed to lead this organization in February 2010, Churchill was named Executive Vice President and Chief Operating Officer of Government Systems for Rockwell Collins. 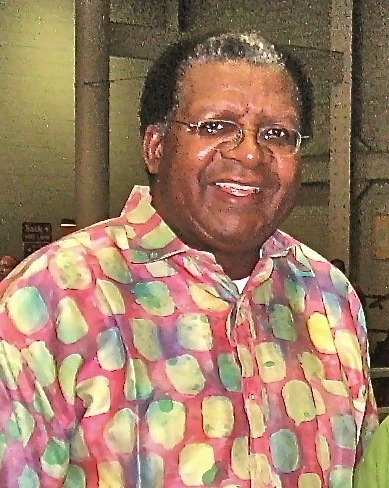 Churchill, a 30 plus year veteran of the company, also served as Vice President and General Manager of Business and Regional Systems since June 2001. He held several business development and program management positions before being named Vice President of Business Development for Government Systems in February 2000. A native of Cedar Rapids, Iowa, Churchill earned a Bachelor of Science degree in industrial administration from Iowa State University. Churchill is also a member of the Engineering College Industrial Advisory Council and the Business College Advisory Council for Iowa State University and serves on the board of directors for the Cedar Rapids Baseball Club. Churchill is a member of the following organizations: American Institute of Aeronautics and Astronautics, Airlift Tanker Association, Army Aviation Association of America, Armed Forces Communications and Electronics Association, American Helicopter Society, Association of the U.S. Army, Navy League and the National Defense Industrial Association.